The windscreen replacement of your Rolls Royce is done here! A Rolls Royce is perhaps one of the most imaginative cars in the world. This has to do with the fact that she appeared several times in films. 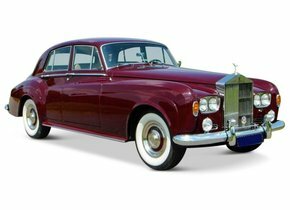 A Rolls Royce is a particularly attractive car with a luxurious look. They are therefore often associated with the' rich and famous', while some of the first models are traded among collectors for a small fortune. As a lover and probably owner of a Rolls Royce you are unfortunately not exempt from possible damage to your car. Think, for example, of damage caused by rubble. An asterisk or crack in the windscreen of your valuable Rolls Royce is therefore something that you would like to see solved as quickly as possible. In that case, we can offer you a very interesting solution that is not only advantageous, but also extremely qualitative. that would have caused the bankruptcy. There was a nationalisation because they wanted to keep the brand from being lost. 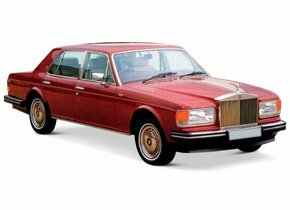 In 1973, the car division was then split off as Rolls Royce Motors. It was in turn privatised in 1987. Today the Rolls Royce brand is run by Rolls-Royce Motor Cars, a division of the German BMW. Two cars under this flag are the Rolls Royce Phantom produced in 2003 and the Rolls Royce Ghost from 2010. There is no doubt that the Rolls Royce brand has an excellent quality. This is also reflected in the large price tag attached to these cars. However, damage often only lies in a small corner. Take damage from rubble, for example. During a car journey, everyone can experience it just like that a small stone is pushed against the windscreen and a crack is formed. Unlike a side and rear window, the windscreen is always made of laminated glass. This is necessary in order to protect the occupants of the vehicle optimally in case of window damage. Unlike any other car window, the windscreen will not splash in countless pieces. Still, a windscreen replacement of your Rolls Royce may be necessary in case of an asterisk or crack. The windscreen of your precious car should not just splash apart, but an asterisk can also cause a lot of dangerous situations. Is it located in the driver's field of vision? Then is a windscreen replacement of the Rolls Royce necessary before the APK inspection is carried out. With the APK control, such damage can simply cause your Rolls Royce to be rejected. How much does it cost to buy a new Rolls Royce windscreen? As owner of a Rolls Royce you will only want to be satisfied with the best of the best. Therefore, you will not want to save on the cost of a new windscreen when it results in a loss of quality. However, what would you say if we told you that it is possible to buy a competitively priced new windscreen without having to surrender in terms of quality and reliability? 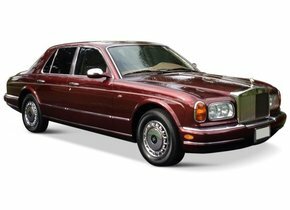 A windscreen replacement of a Rolls Royce by means of after-market vehicle glass will ensure that you are always assured of the best possible price-quality ratio. The above is achieved by the fact that an after-market car window does not have a brand logo. At first sight, this seems to be only a visual difference, but it is not. The absence of such a brand logo ensures that these windscreens can be sold by anyone. 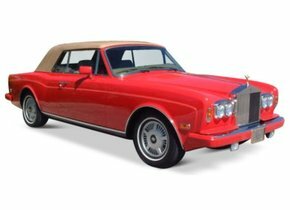 As a result, the price tag is significantly reduced, so that the windscreen replacement of your Rolls Royce in case of damage does not have to cost you hands full money. 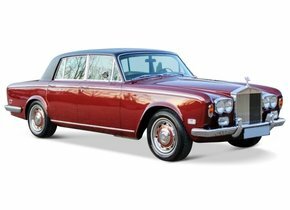 Windscreen replacement of your Rolls Royce by yourself or outsource it? In the area of windscreen replacement of the Rolls Royce, you have several possibilities. For example, you can choose to outsource the replacement to one of the FOCWA-certified partners of Autoglas Concurrent, but it is also possible to do the replacement yourself. We make sure that our customers can also simply order a new after-market windscreen from us without having to install it at the same time. Do you have your own car garage, for example, or are you a hobbyist and would you like to replace the windscreen of your Rolls Royce? We will be happy to help you!